Gardening season is just around the corner and for those of you planning a dog-friendly garden, it’s important to think about your pet’s safety before ordering plants and fertilizers. The ASPCA Poison Control Center (APCC) recently announced the top ten toxins of 2016 based on calls to the poison control hotline. Of the 180,639 hotline calls, 2.6 percent involved gardening products, including herbicides and fungicides, and 5.2 percent were plant related. 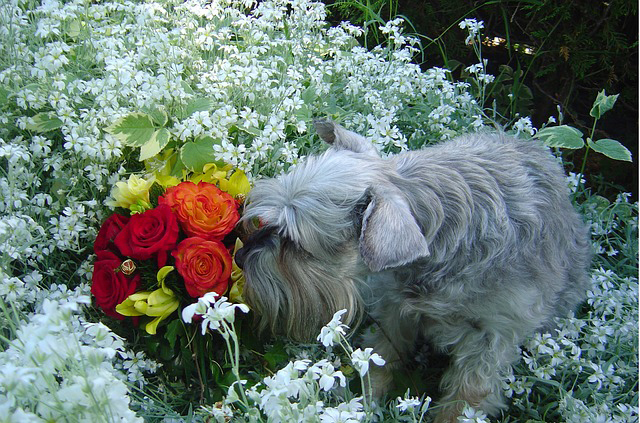 It’s surprising how many popular plants are toxic to our pets. Here are just a few examples: azalea, begonia, caladium, daffodil, daylily, dahlia, Easter lily, hydrangea, and iris. The APCC provides a search-based Poisonous Plants page where you can look up your favorite plants and see if they are safe for your pets. While it’s great to have soft sun-drenched grassy areas in your dog-friendly garden, it’s just as important to provide shady spots by planting trees or adding a pergola or dog kennel. A water feature such as a fountain or a faucet with a drinking station for the dogs is also a necessity. 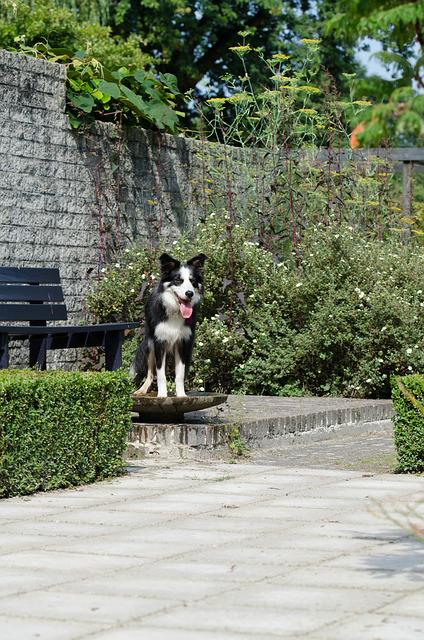 Dog-friendly gardens should include spaces where a dog can play safely and roam freely. Experts at the Borst Landscape and Design in Allendale, NJ, recommend using small fences or dense shrubbery to block off areas off limits to dogs. A combination of patio and paver as, well as grass and mulch materials can be used for pathways and play areas. When choosing hardscape patio and paver materials keep in mind that the darker color stone will attract more heat. During summer months these stones can cause injury to a dog’s paw pads. Lighter colors such as field stone of blue stone are a better choice. High traffic areas in the garden can be mulched to prevent wear and tear on the lawn. Sturdy ground covers such as pachysandra and vinca can be used for areas where grass may not grow. In addition to adding color to the garden, this cover offers a nice resting spot for dogs. Hardy plants such as ornamental grasses, catmint, lilac bushes, and viburnums can withstand trampling if a dog accidentally enters an off-limits section of the garden. And if your dog is a natural born digger, you might consider container gardening to keep your space looking beautiful. If you want to keep your garden looking fresh and beautiful designate an out-of-way area for bathroom breaks. Consider setting aside a mulched area that’s hidden behind tall shrubs or grasses. Border hedges and densely planted beds will help deter dogs from relieving themselves in non-designated areas of the garden. Trainers recommend using treats or clicker training to teach dogs to use the same spot every time. 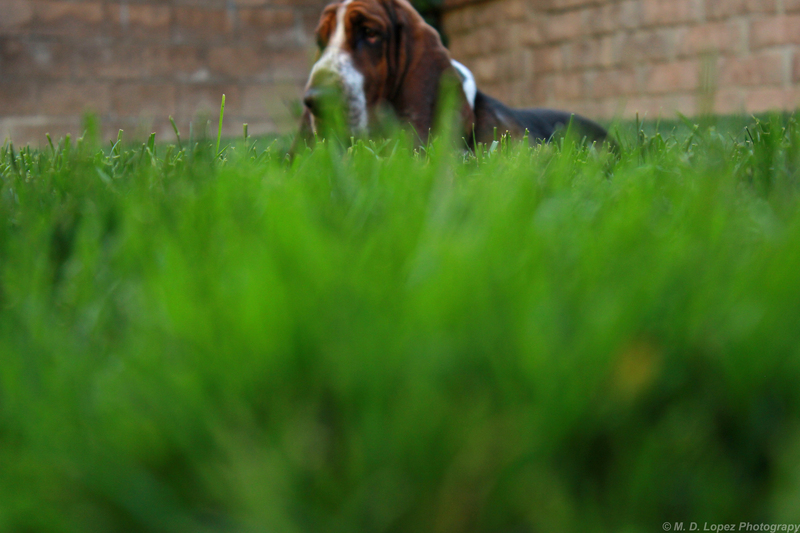 When dogs do urinate on grassy spots in the yard, the nitrogen in the urine causes brown spots in the lawn. Watering the area immediately after the dog has urinated can help cut down on the nitrogen and brown spots. Instituting an organic dog-friendly fertilizer lawn care program can help to keep the grass in your garden healthy. If you think that your pet is ill or may have ingested a poisonous substance, contact your local veterinarian or the ASPCA 24-hour emergency poison hotline directly at 1-888-426-4435.